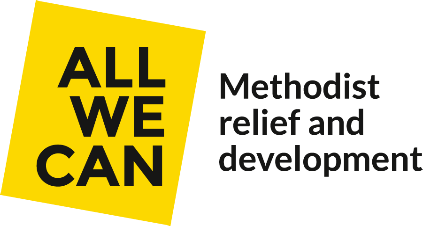 On Tuesday 8 April 2014 the Methodist Relief and Development Fund (MRDF) announced an ambitious set of plans for the future, including a new name to reflect its commitment to tackle poverty. 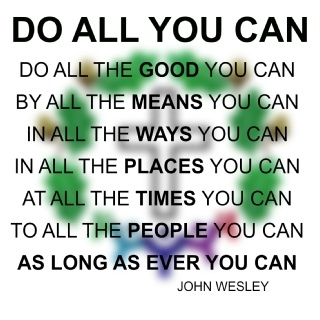 From that date it will be known as ALL WE CAN , the Methodist relief and development partner. The charity’s new strategy and strengthened identity are the result of a wide-ranging strategic review, carried out over the last year, involving supporters, staff, volunteers and overseas partners. Maurice Adams, Chief Executive of ALL WE CAN , says: “Over the years ALL WE CAN , under various names, has provided support and resources to many millions of people in great need. Our vision for the next chapter in the story of Methodist relief and development work seeks to build upon our strengths and heritage. This change has been inspired by our past so that we can continue the work for the future”. Maurice Adams explains: “As part of our strategic review, we considered the organisation’s identity and the way we present ourselves. We had recognised for some time that the name we adopted nearly 30 years ago no longer accurately reflected the work we do – having been much more than simply a fund for many years – and that it was not helping us in the challenging tasks of raising our profile and increasing support. Our new name and strengthened identity reflects our future role and vision, as well as our Methodist roots and heritage". ALL WE CAN will continue to provide long term development support and emergency relief and undertake advocacy and education on issues of social justice. As part of the charity’s plans to increase its impact in the future, it also launched a new initiative to help churches and faith-based organisations in poor communities to effectively meet the needs of their neighbours. ALL WE CAN has always been committed to reaching the most marginalised people where the need is greatest, and will continue to focus on communities which are often overlooked and underserved by larger agencies.